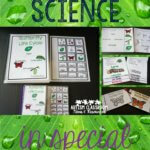 Don’t forget to enter the giveaway for Weather Kids, Behavioral Visuals and the Money Essentials bundle. You have a great chance to win–just enter at the Rafflecopter at this post. I had the great opportunity to present to a group of parents and teachers in Huntsville, Alabama last week. They were such a great audience and I got to present about 2 of my favorite topics. I presented in the morning on work systems for home and school and in the afternoon on addressing challenging behaviors. I told them I would put the color version of the handout up on the blog so that they could access it and share it. To download the handout, click here. Please feel free to share it but keep my name on it and do not publish it on other blogs or in any other way. If you want to feature or include it on a blog or other internet site, please do so with a link back here. 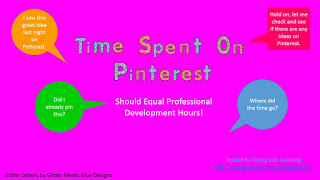 In the handout there is a list of resources like my Pinterest board on work tasks for ideas for other tasks. 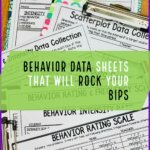 I thought I would highlight a few here that would be great for families over the summer in using work systems with their children. 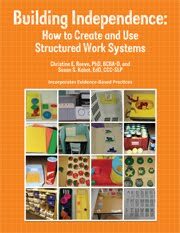 For more ideas about work systems, you can also check out our book that includes the data sheets, directions for developing and teaching work systems, and lots of ideas for younger and older students. 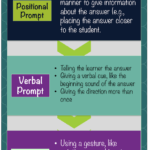 You can also check out the following blog posts for information about setting up the system, ideas to remember in using it, and resources. For little guys I thought this one was a good one for practicing play skills. Take a picture of Mr. Potato Head created in different ways and have the student build him to match one of the pictures. Click on the pin to get to the original source of the pin. 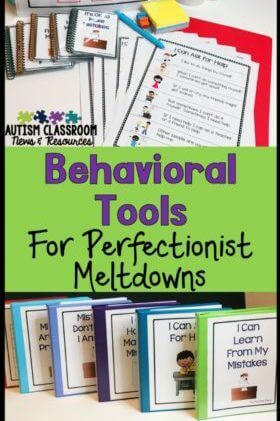 This one comes from The Autism Helper blog and has a freebie for of dark and light clothes for sorting. You could do a variation of the one in the picture with real materials in a work system too with the trash can and recycling bin. This one is also from The Autism Helper. Great idea to organize putting lunch together independently. This one is cute for those working on fine motor activities and it’s portable if you need something to do while waiting. This one comes from Tasks Galore, another set of great books with ideas for work systems. An oldie but goodie and very easy to make to practice motor skills of putting tops on containers. I could go on forever with ideas…and I’ll do another post soon with others. Basically I think I just got lost in Pinterest and I’m afraid if I don’t stop, I will never return to the real world in which people want me to do real things. 🙂 And because I must claim this (along with clip art) as my addictions, I hooked up with Diving Into Learning’s Time Spent on Pinterest Should Equal Professional Development Hours! Check out more pinterest posts at her site. So, check out my Pinterest boards. Here is the link to the freebie presentation on work systems that has more ideas for tasks. And don’t forget to enter the giveaway--Weather Kid and the Money Essentials are activities that would work wonderfully with work systems. What pins and other ideas do you have for parents to use work systems at home? 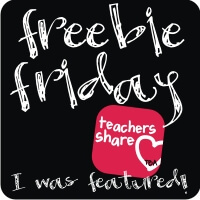 And I’m linking the free presentation up with Freebie Friday…so hop on over to the TBA site for some more freebies! Love this!! I need to organize my independence areas better. Great ideas for work tasks. Thanks for posting. I love all of your pins! Thanks for linking up! Every time I see that Mr Potato head with photos idea I think 'must do that'. Thanks for the reminder!